It’s a small, and relatively cheap bit of kit with a really important job to do. Riding in icy conditions can literally sting your neck when and, with the added effect of wind chill, make you dangerously cold very quickly. Especially as the jugular veins in your neck will carry the cooled blood through your body very rapidly. In most instances, it’s basic functions work relatively well, however, along with the simple designs, there are also some really good and innovative tubes that offer that little bit more warmth, and in some cases even water repellence properties, keeping you drier and ultimately more comfortable on the bike for much longer. 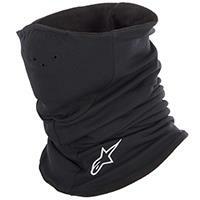 So, here are ten of the top thermal neck warmers currently available from the MCN Shop. 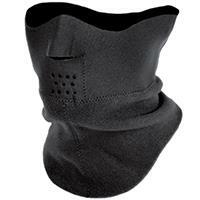 This thermal turtleneck has a perforated nosepiece and elasticated upper construction to offer a secure fit. 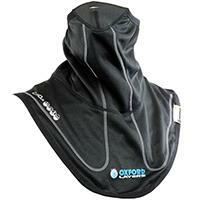 Made from breathable fabric, this is the most expensive warmer on offer here and is designed to be one size fits all. 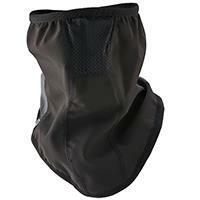 This Held option comes with a nose cut out and a mesh mouthpiece. There’s a Velcro closure to keep it secure on your head and an internal moisture management system. For added comfort and warmth, there’s a microfleece lining too. The softshell material of the Cold Killers neck tube gives a soft feel and comfortable fit while also providing windproof and breathable qualities, along with good water resistance too. This comfortable soft fleece-lined neck warmer is windproof and breathable and is designed to protect your neck from draughts. There’s also an adjustable Velcro closure system for a snug fit. Synonymous with thermal and technical base layers, EDZ know a thing or two about keeping warm. It’s simple micro-fleece design is breathable to keep your neck from getting sweaty if it gets a bit warmer and is also windproof to keep the cold at bay. This thermal turtleneck is both windproof and offers water-resistance. It features an insulated fleece lining with additional panelling on areas that require breathability and flexibility ensuring it remains comfortable. 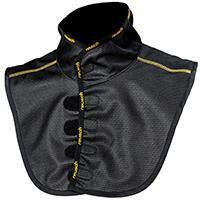 This moisture-wicking polar-fleece neck tube is a simple but effective design. 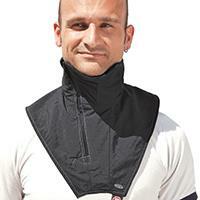 It’s design also ensures that it’s seam-free too, so you won’t get any annoying seams scratching your neck. 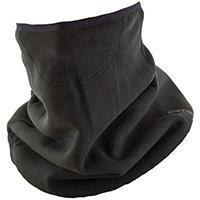 This padded thermal neck warmer is something slightly different. 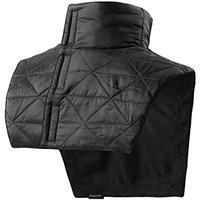 It’s constructed from nylon ripstop and a wind-blocking fleece material. Insulation comes from the Thinsulate KK lining to keep you snug and the collar is also water repellent to aid in keeping you warmer for longer. 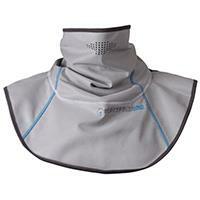 Forcefield’s Tornado Advance neck warmer offers a good spec for its price. It’s lightweight with thermal properties thanks to the Thermolite insulation. 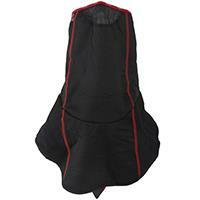 It’s also windproof and comes with an anti-bacterial fabric that’s water resistant too. This Gore-windstopper neck tube from Held is impressive. The outer polyamide construction is both water-repellent and breathable and the zip closure ensures a snug and comfortable fit.